4029 SE 20th Pl #201, Cape Coral, FL.| MLS# 218072809 | Southwest Florida Residential Real Estate for Sale. 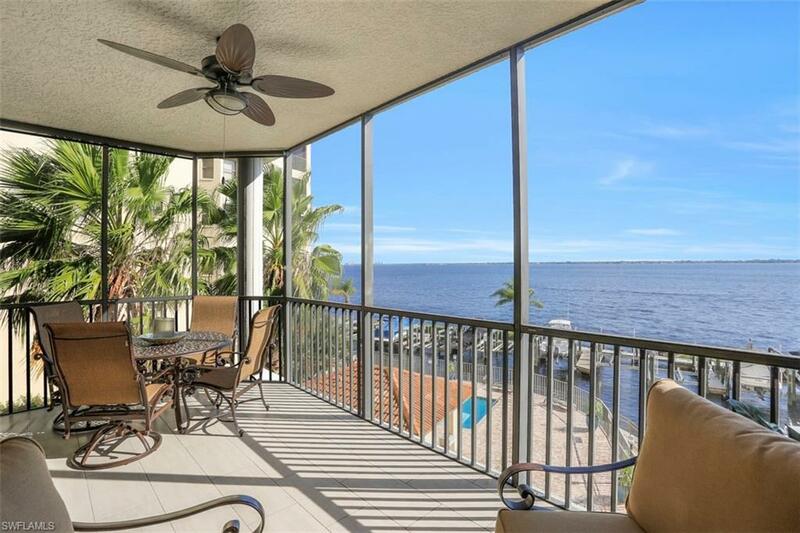 Paradise awaits you in SW Florida as you wake up every morning to the spectacular sunrise over the Caloosahatchee River, which leads you to the Gulf of Mexico-the ultimate lifestyle in Florida living. A boater's dream comes true, with your own private marina and available deeded dock and boat lift. Enjoy dining on your lanai and the ever changing river-the million dollar view!This unique well, appointed open floor plan offers 9ft+ceilings, 3 bedrooms, 2 bathrooms, and a multitude of upgrades:granite counter tops, beautiful tiled floors, fully equipped appliance package, luxurious master suite with whirlpool tub and spacious separate shower.Relax in the heated pool and spa, and take advantage of the fully equipped amenity center, billiard table, TV's, work out room and air conditioned storage area. Secure, gated under building parking is a plus.Jaycee park provides walking paths and green space at your door step.Restaurants, on and off the water, are close by as well as shopping.We have the Florida lifestyle you are looking for and the view you have been dreaming of!Schedule a private showing this one won't last!